With only 453 BMW M1s built during its short production run, to see one in the flesh is extremely rare. But this year at Concours of Elegance, visitors have the opportunity to get up close with an M1 – and a very special BMW M1 at that. This particular car is one of 10 that had some official motorsport-inspired upgrades applied to it, including a power boost for the 3.5-litre six-cylinder engine, adjustable height suspension and a new exhaust. Visually, you’ll spot a new rear spoiler and some wider wheel arches. 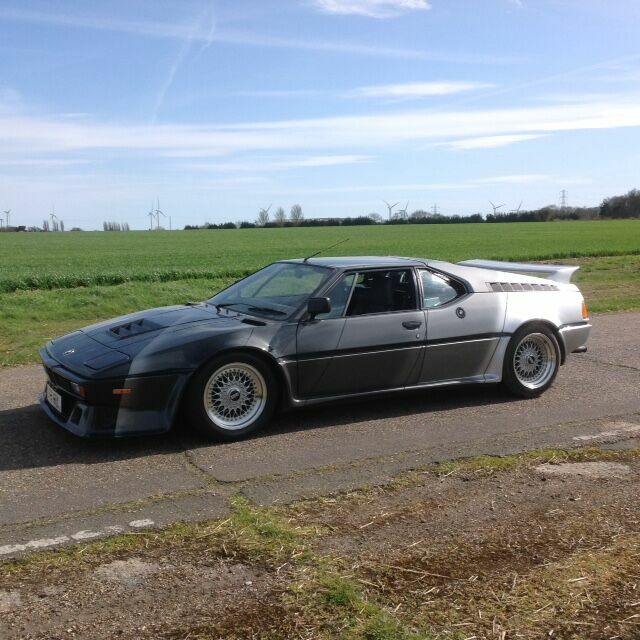 Of course, the most striking thing about this M1, though, is the paint work. Gradually shifting from gloss back to silver over the length of the car’s body, this custom paint job was added a few years after the M1 left the factory.